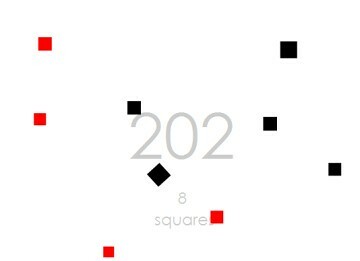 Squares is probably one of the simplest online flash games that you'll run across. But that doesn't make it any less fun. 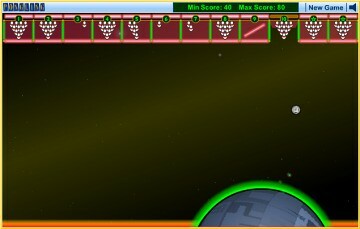 The game rules are simple: using your mouse catch the black squares without touching the red ones. 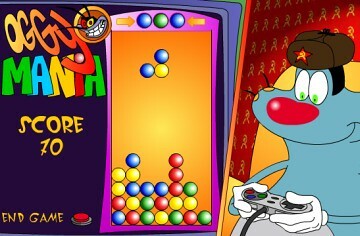 Over the years there have been tons of variations of Tetris and Oggy Mania is one of them. 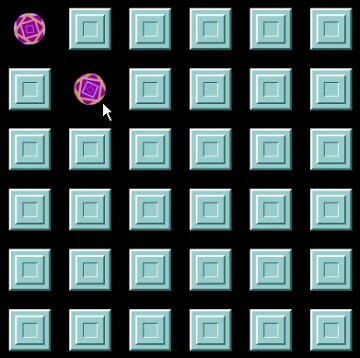 In this game colored blocks drop from the top of the screen but the point is to line up the same colored blocks (not fill out rows like classic Tetris). Once you have 4 adjacent blocks of the same color they disappear and the blocks above fall into the hole that was created. 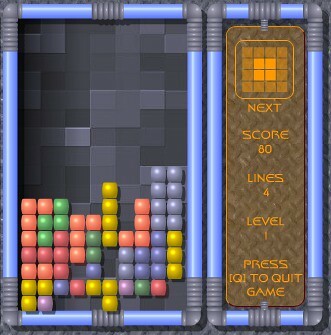 Like with regular Tetris, the game ends when the blocks pile up to the top. We can't go through classic video games without featuring one of the most popular classic video games, Tetris. 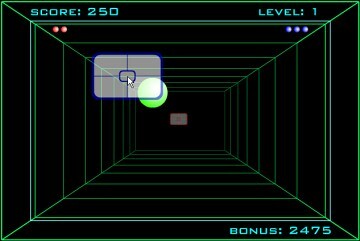 I used to play this game for hours to a point where I would go to sleep and continue virtually playing in my head! This game is a online version of the classic memory game you used to play with cards. The only difference is that in this browser game the virtual cards are small animations instead of images. It makes the game a bit more interesting. 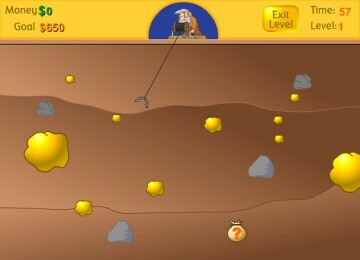 In Gold Miner you have a hook on a chain that swings around and you need to release it when it's over the gold or diamonds (if you're lucky). Each level has a limited amount of time in which you need to collect a certain amount of gold in order to advance to the next level. In this game you are shown two pictures and have limited time to find the 5 differences between the pictures. Every time you make a mistake you loose some time off the timer. The game ends once your time runs out before you managed to find the 5 differences. I got 9095 points (don't know how good that is...). 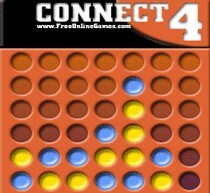 Connect 4 is one of my all-time favorite board games. After featuring a cool version of Pong let's take it a step further and combine Pong with bowling. Since we're starting off with classic games you can't get any classier than Pong. But hey, this is the 21st century, we need something a little more exciting. Curveball is a remake on the old classic Pong only in 3D. It's very simple and a lot of fun: you and the computer take turns hitting the ball back and forth each time trying to put a spin on it so that the opponent misses. There's also a speed element so that you get more points the faster you win your opponent. We just have to start this off with one of the all time classic games: Pacman.